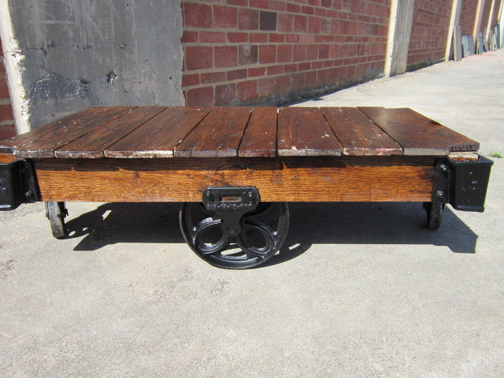 Cart Number 32412 has the beautiful, delicate Floral wheel style, and the original antique restored Red Oak top. The hardware is painted, and the whole cart has a slightly glossy finish. Wood top dimensions: 27W x 48L x 15H.